No need to stop for directions at the next gas station–or the one after that. Handheld navigators are headed for Main Street. Nearly 30% of American households either have a Global Positioning System device or plan to buy one this year, according to an exclusiveMarketing Daily survey prepared by Synovate. Similar to other new technologies, early adopters tend to be higher-income. One out of five, or nearly 20% of respondents with incomes of $75,000 or more, said they have a GPS device. About 10% of people earning $25,000 to $75,000 own a GPS, and 3% of people earning under $25,000 have one. 15% of owners said their GPS has changed their life.GPS owners are somewhat receptive to receiving marketing information on their GPS systems–but only if they ask for it. Among respondents who own a GPS system, 44% said they are interested in having the device guide them to area restaurants and attractions. But 75% said they “would hate it” if their navigator started receiving unsolicited advertising. “The GPS is an emerging form of advertising, like wireless and video games. But the companies have to carefully balance revenue potential with infringing on core functionality,” said Ross Rubin, an NPD analyst. Good GPS advice for businesses. Many people depend on GPS these days to guide them instead of traditional road maps. The community of Nipawin, a popular tourist destination, is encouraging businesses there to register with the GPS websites, so that when tourists roll into town, their business shows up as a point of interest. And it might be good advice for all business owners to heed. Ivan Stankowski, the chair of the Economic Development Committee for Nipawin, has done some research on the project and says it’s a great way to advertise your location. Stankowski also owns the Chrysler, Dodge dealership in Nipawin and says more and more vehicles are coming with built in navigation systems. 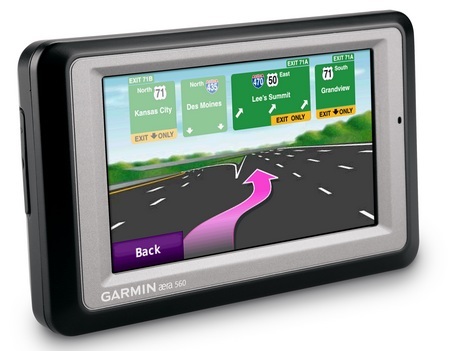 It likely won’t be long before GPS systems will be just as common in vehicles as CD players are. 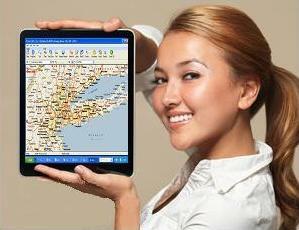 Get started today with GPS Registrar at http://www.gpsri.com to register your business on all GPS maps. Why GPS is an important business tool? Be everywhere your customers are with GPS Registrar Inc.
GPS tracking systems are intended for tracking both automobiles and people. Utilized as part of a businesss fleet management strategy, they can enhance efficiency and reduce costs. They also allow a company to monitor its vehicle fleet, wherever they may be. The principle technologies behind GPS Tracking systems has been adapted from full mobile systems and location (GPS) systems. GPS tracking works on the triangulation protocol between the source of the signal (ie the GPS vehicle tracking system installed in the fleet vehicles) and Low Earth orbit satellites to pinpoint a vehicles position within one foot. The advantages of using vehicle tracking as a fleet management technique are numerous. Fleet management is about maximising efficiency, decreasing costs and maintaining excellent customer relationships. It’s also about your visible reputation out on the road, particularly if your vehicles carry your companys insignia or display your business name. Vehicle tracking systems can help in all these areas by making certain your drivers are taking the most efficient routes, are not wasting fuel by speeding excessively and are not damaging your companys reputation by driving in a manner that shows your business in a bad light. There is actually also a strong safety aspect associated with GPS systems, especially in remote or hazardous locations. GPS tracking can instantly alert a business to any problems or emergency situations. If a automobile is involved in a road traffic incident, some GPS systems will alert the control centre immediately, and therefore emergency services can be mobilised rapidly, even to the most remote places. They can act as a beacon for search and rescue if the vehicle has left the road and is hidden from sight. Thus giving your drivers the peace of mind that their personal security is being taken care of by the business, building a greater level of trust between drivers and management. This is also more likely to encourage a more healthy attitude to on-road use along with a much more responsible approach to the job – not to mention contributing to your health and safety obligations. Vehicle tracking systems are simple to install and cost effective, making them simple to incorporate in an overall fleet management strategy. Since the technologies is now commonplace, there are systems that are suitable for fleets of any size – from a small business running only a couple of vans to a significant fleet with different types of vehicles. Modern technology, including GPS tracking systems, have been made to make driving more efficient and safer. It is especially relevant to fleet management and can help a company run its fleet far more efficiently than in earlier years. From issues of safety through to helping a new driver know more about the most efficient routes and vehicle security, GPS tracking should be thought about to be an essential part of fleet management. For more information, see http://www.gpsri.com GPS Registrar Inc. Award-Winning Services by GPS Registrar Inc.
Well this is a bit too late isn’t it? Considering we’ve been talking about GPS navigation on Sony PSP for literally years now, and since then the new Sony PSP Go has come out. Well all we can say is better now then never. Announced by Zenrin in Japan Minna No Nabi is a GPS navigation system software for the PSP 1000/2000 and 3000 Series (yep, no go for PSP Go).